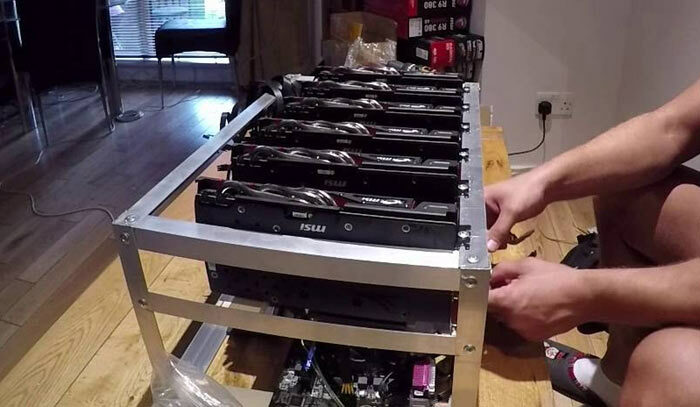 A complex economic stew has resulted in a noticeable increase in GPU miners selling off their kit. Factors such as the market volatility of the Ethereum (ETH) price caused by profit takers, market manipulation, trader panic and hackers, plus the increased difficulty in mining this cryptorcurrency means running a GPU mining rig became much less appealing over the weekend. 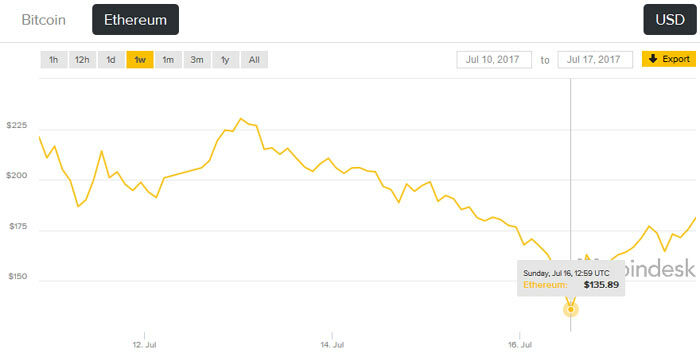 According to CoinDesk, via PCGamer, Ethereum hit a $400 high last month but crashed as low as $133 over the weekend. The price volatility has brought a knee-jerk reaction from less committed miners with places such as eBay and Craigslist "flooded with used GPUs," says CoinDesk. While the ETH price could again skyrocket there's another important factor impacting GPU miners - mining difficulty continues to increase, further impacting potential profits. In an example worked out by PC Gamer, where net profits from running a sole AMD Radeon RX 580 could have been $4 per day last month, the same setup would now only net $1.25. If the Ethereum price stabilises, or at least doesn't immediately bounce back up to $400, while the mining difficulty continues to creep up - perhaps GPU mining's impact on enthusiast and gaming GPU prices will dwindle. Hopefully the coming weeks see will supplies of the best bang-per-buck graphics cards return to being sold at around their RRPs and the second hand market become more reasonable. VentureBeat has an excellent analysis on the recent value crash of cryptocurrencies. It looks at both Bitcoin and Ethereum. 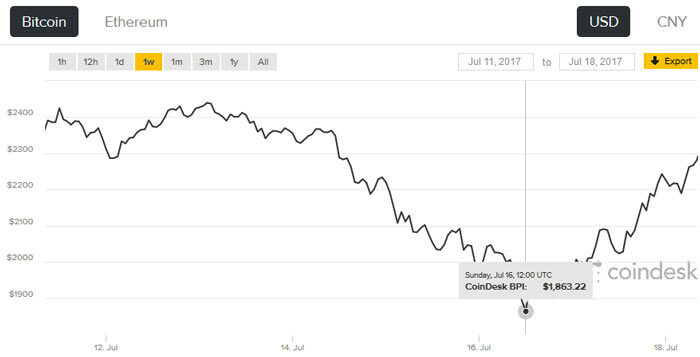 Bitcoin (BTC) values will be volatile for at least the next fortnight due to the 1st August 'crypto civil war' over block sizes. Meanwhile, there is a bright side for those earning / owning popular cryptocurrenncies in the longer term as they become more mainstream. 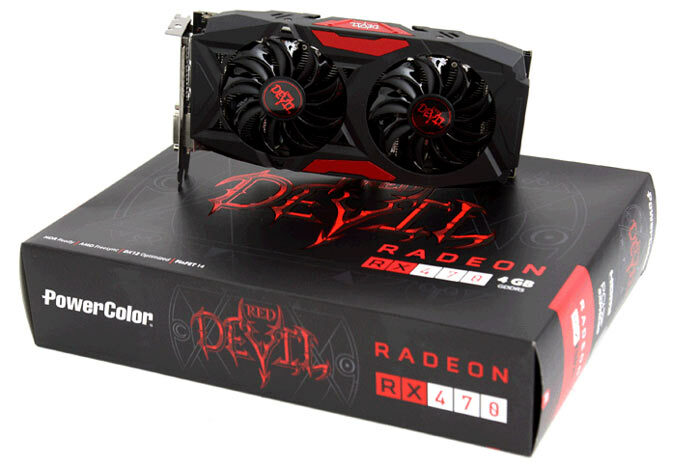 Does not seem to have made any difference to the sales on Ebay, RX 480s still going for north of £300 today. The prices will stay fairly high initially, as the less informed snap them up - but I bet they start trending down in a week or two. Starting to think the real money is in GPU speculation. Buy a few up that are good for crypto, hold them until a bubble and then sell. We all knew it was always bound to happen, as I pointed out in a previous post. I admit I didn't expect it to happen this quickly though. For those who are more familiar with mining, is it likely that the mining would have put too much strain on the GPU for it to be worth the risk of buying said second-hand units for us non-miners for the more usual purposes of gaming etc.? When a crypto boom hits the mainstream media, that's when the bubble is nearing its peak. Smart begins to pull out under cover of the manic naive rushing in.